Stephen E. Fienberg, University Professor of Statistics and Social Science at Carnegie Mellon University, died Wednesday, Dec. 14, in Pittsburgh. He was 74. An internationally acclaimed statistician, Fienberg was best known for developing and using statistical applications to influence science and public policy in many areas, including aspects of human rights, privacy and confidentiality, forensics, survey and census taking. He was elected as a member of the National Academy of Sciences (NAS) in 1999 and made theoretical and methodological advances in algebraic and multivariate statistics, followed his wide-ranging curiosity into other disciplines and helped to pioneer machine learning as a field and at CMU. He shared his passion for statistics and his work with his students and junior faculty members, training and mentoring the next generation of statisticians and data scientists. "For 36 years, Steve was one of Carnegie Mellon's most valued citizens," said Provost Farnam Jahanian. "A brilliant, nationally renowned statistician and a thought leader on data-sharing, he made a transformative impact on the fields of social and behavioral science and machine learning. As a teacher and leader, he was collaborative, thoughtful and remarkably generous — a truly rare find. Steve has left an indelible mark on the institution and on the countless students, faculty and staff who were fortunate to work alongside him." Fienberg joined CMU's Statistics Department in 1980 and, over the years, added additional appointments in the Machine Learning Department, CyLab and Heinz College. He served as head of the Department of Statistics from 1981-1984 and was instrumental in moving it from a freestanding department into the College of Humanities and Social Sciences (now the Dietrich College) and retaining and recruiting world-class faculty. From 1987-1991, Fienberg served as dean of the college, creating the Modern Languages Department and expanding the college's overall stature and impact. "It was an incredible fortune to know and work with Steve Fienberg. He was the consummate academic who did it all — from administrative work to teaching and advising all while working to solve many of society's grand challenges," said Richard Scheines, dean of the Dietrich College. "Steve had preternatural energy, and he made everything he took on better, including the Statistics Department, the National Academy of Sciences, the Machine Learning Department, you name it. He was rightfully regarded by his CMU colleagues and his collaborators around the world as a world-class talent. He will be sorely missed." Fienberg was deeply involved with NAS for more than 40 years. He served on 35 committees and panels addressing everything from bilingual education and census taking to research methodology and the accuracy of polygraph tests. For the past 12 years, he was part of the report review process, in which a team of up to 25 reviewers ensures that the results of a study are effectively and accurately communicated. Fienberg was responsible for reviewing 200 reports each year. He also served on the Standing Committee of the American Opportunity Study, which aims to combine existing data from the U.S. census, surveys and programs like Social Security to study individuals and families over time. "Out of all of his valuable contributions to the activities of the National Academies, Steve's most impactful contribution has been as co-chair for the past eight years of the Report Review Committee. Steve's exceptional regard for integrity and quality has ensured that reports met the Academies' highest standards for objectivity and evidence. As Steve recently told me, 'we've had a good run!' His unique contributions and style will be greatly missed by all of us at the Academies," said Porter E. Coggeshall, executive director of Report Review at the National Academies of Sciences, Engineering and Medicine. An example of Fienberg's foresight and pioneering work is the 1985 report for the National Research Council on data sharing that examined the advantages and disadvantages to opening access to research data for reanalysis. It also outlined recommendations to responsibly share data and is considered to be the seminal report on the topic. "Steve was a clear role model for how statisticians can make a difference. He had an abiding passion for statistics and its role as a force for good in the world. He was intensely dedicated to his work and focused on doing things the right way. Steve was also incredibly invested in guiding and supporting students, from those in his freshman seminars to the doctoral students he advised. CMU Statistics would not be what it is today without him," said Christopher R. Genovese, head of the Statistics Department. Fienberg was also an expert in forensic science and was the only statistician on the National Commission on Forensic Science, which works to strengthen and enhance the practice of forensic science by developing guidance where forensic science and the criminal justice system intersect. For NAS, Fienberg chaired the Panel on Statistical Assessments as Evidence in the Courts, whose 1989 report includes a case study assessing the quality of forensic hair identification and recommendations to improve judges', juries' and attorneys' understanding of statistical evidence, and the Committee to Review the Scientific Evidence on the Polygraph, which found that polygraph testing was too flawed for security screening. "Steve Fienberg's career has no analogue in my lifetime," said Robert Groves, provost of Georgetown University and former director of the U.S. Census Bureau. "He contributed to advancements in theoretical statistics while at the same time nurturing the application of statistics in fields as diverse as forensic science, cognitive psychology, and the law. He was uniquely effective in his career because he reached out to others, respected them for their expertise, and perceptively saw connections among knowledge domains when others couldn't see them. He thus contributed both to the field of statistics and to the broader human understanding of the world." Fienberg played a key role in making Carnegie Mellon a center for research in machine learning. Machine learning draws on both computer science and statistics to enable computer programs to identify patterns in data, learn from experience and improve their performance. "Throughout the past 20 years, Steve has been a strong advocate for true interdisciplinary study of statistical learning," said Tom E. Mitchell, the E. Fredkin University Professor of Machine Learning and Computer Science. "The ties between the School of Computer Science and the Department of Statistics that he worked so hard to forge have provided computer scientists with more rigorous mathematical tools and statisticians with new challenges and opportunities." Recently, Fienberg was one of 13 top scientists convened by NAS and the Annenberg Retreat at Sunnylands to determine how to address scientific controversies ranging from problems replicating results to researcher misconduct and sensationalism. The group, which also included CMU President Subra Suresh, identified several ways to change incentives for quality and correction. Fienberg is also responsible for developing a new generation of thoughtful and dedicated scientists. In addition to the countless students he taught and worked with on research projects, 43 Ph.D. students wrote their dissertations under his direction. "Steve had a gift for seeing something in people and for finding a way to offer you the right support and put you on a right path, whatever the right path meant for you," said Aleksandra Slavkovic, who received a master's degree in human-computer interaction (1999) and statistics (2001) and a Ph.D. in statistics (2004), all from CMU, and is a professor of statistics at Penn State University. "You had to work hard, but he gave you freedom to find the path, to find your best, to build your confidence while being there to support you," Slavkovic said. "Understanding that there was a big shift in my academic focus and potential career when I started the graduate program in statistics, he simply said, 'there will be obstacles on the way, but we will overcome them!' I would like to stress the use of 'we' here. That's who he was, someone willing to offer endless support to his advisees no matter where they were in their career. Nowadays when I speak with my students and advisees, in moments of their doubt, I often recall that moment." She added, "I feel extremely lucky and grateful to have had Steve as my Ph.D. adviser in statistics and as a mentor and colleague. Both he and his wife Joyce have been very dear friends." Fienberg was a fellow of the American Academy of Arts and Sciences, the American Academy of Political and Social Science, Royal Society of Canada, American Statistical Association (ASA), Institute of Mathematical Statistics and the International Society for Bayesian Analysis (ISBA). With CMU's Bill Eddy, Fienberg co-founded CHANCE in 1988. The non-technical magazine is designed for anyone who has an interest in using data to advance science, education and society and is co-published quarterly by ASA and Taylor & Francis Group. 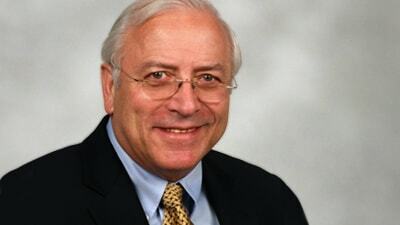 Fienberg also co-founded the "Journal of Privacy and Confidentiality," was the editor-in-chief of the "Annals of Applied Statistics" and founding editor of the "Annual Review of Statistics and Its Application." His many honors include the 1982 Committee of Presidents of Statistical Society President's Award for Outstanding Statistician Under the Age of 40; the 2002 ASA Samuel S. Wilks Award for his distinguished career in statistics; the first Statistical Society of Canada's Lise Manchester Award in 2008 to recognize excellence in state-of-the-art statistical work on problems of public interest; the 2015 National Institute of Statistical Sciences Jerome Sacks Award for Cross-Disciplinary Research; the 2015 R.A. Fisher Lecture Award from the Committee of Presidents of Statistical Societies and the ISBA 2016 Zellner Medal. Fienberg published more than 500 technical papers, brief papers, editorials and discussions. He edited 19 books, reports and other volumes and co-authored seven books, including 1999's "Who Counts? The Politics of Census-Taking in Contemporary America," which he called "one of his proudest achievements." In October, the Statistics Department held a two-day event to honor Fienberg. Nearly 150 people attended a dinner, series of talks and the inaugural Fienberg lecture, given by Stephen Stigler, the Burton Distinguished Service Professor of Statistics at the University of Chicago. Speaking at the event, Fienberg said, "The ability to take the broadest approach to what is considered to be statistics is what makes CMU's Statistics Department great, and there are very few places other than Carnegie Mellon where that could happen and thrive. It has been fantastic spending the past 36 years at CMU, working with so many terrific students, postdocs, faculty and staff." At CMU, Fienberg co-directed the Living Analytics Research Centre, jointly with Singapore Management University, from 2011-2016. He was also a member of the Center for Human Rights Science, Center for Statistics and Applications in Forensic Evidence and Quality of Life Technology Center. He was also active in the Pittsburgh community and served in various roles for the boards of the Hillel Foundation-Jewish University Center of Pittsburgh, Pittsburgh Jewish Chronicle, Jewish Federation of Greater Pittsburgh and Jewish Healthcare Foundation. Originally from Toronto, Canada, Fienberg received his bachelor's degree in mathematics and statistics from the University of Toronto and his master's degree and doctorate in statistics from Harvard University. Fienberg is survived by his wife, Joyce, and their two sons, Anthony and Howard, a brother, Lorne, and six grandchildren. Services will be held at 1 p.m. Friday, Dec. 16, at Tree of Life/Or L' Simcha Congregation, 5898 Wilkins Ave. in Squirrel Hill, Pittsburgh. There will be no prior visitation. Interment will be at Tree of Life Memorial Park. In memoriam contributions may be made to University of Pittsburgh Cancer Institute, UPMC Cancer Pavillion, Suite 1B, 5150 Centre Avenue, Pittsburgh, PA 15232.